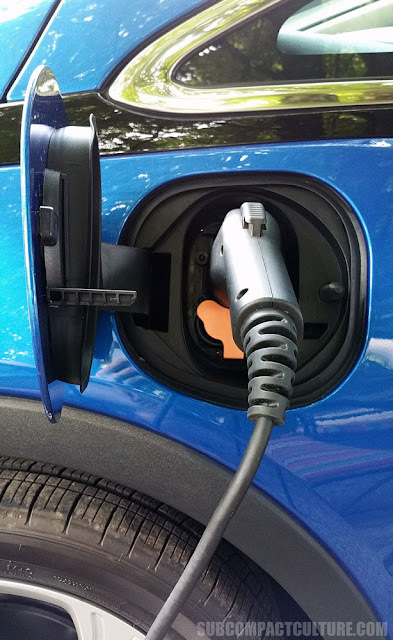 When you think about electric cars, what’s first to come to mind? Range anxiety? A steep price tag? A vehicle not worthy to take on long road trips? 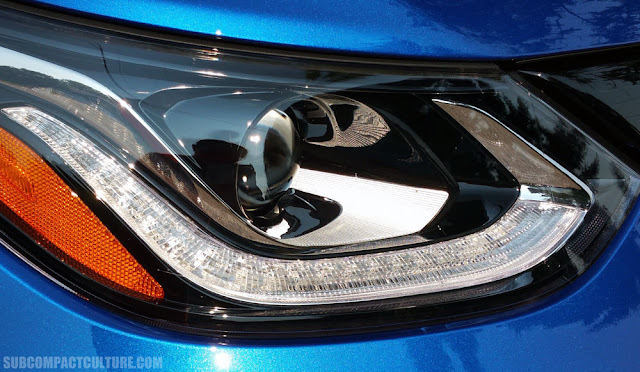 What if I tell you that the new Chevy Bolt EV scoffs at those issues? 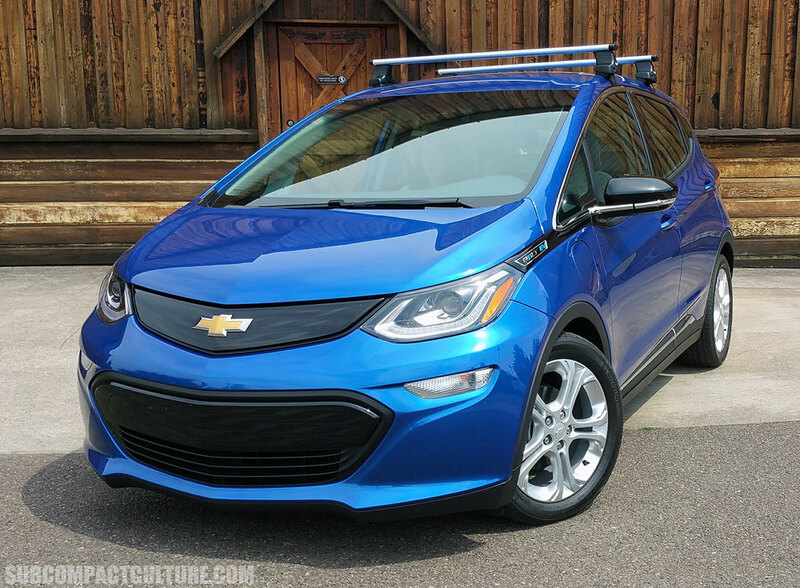 At 238 miles of range and starting at $36,620 ($41,885 fully loaded) the Bolt may make you think twice before giving up the electric vehicle idea. Keep in mind you may also gain up to $7,500 worth of federal tax credit too. 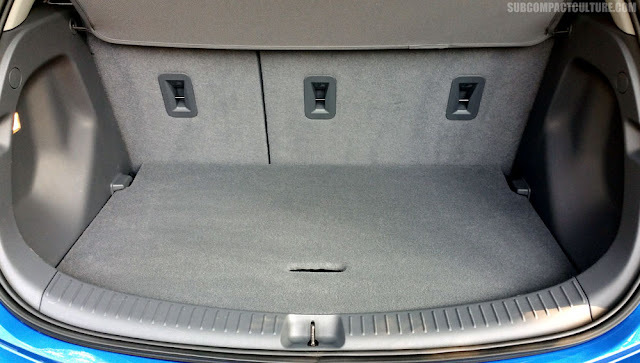 Want to take this five-door hatchback on your weekend road trips? You can. Portland to Seattle on a single charge? Yep. Madison, WI to Chicago, IL to visit family? No problem. 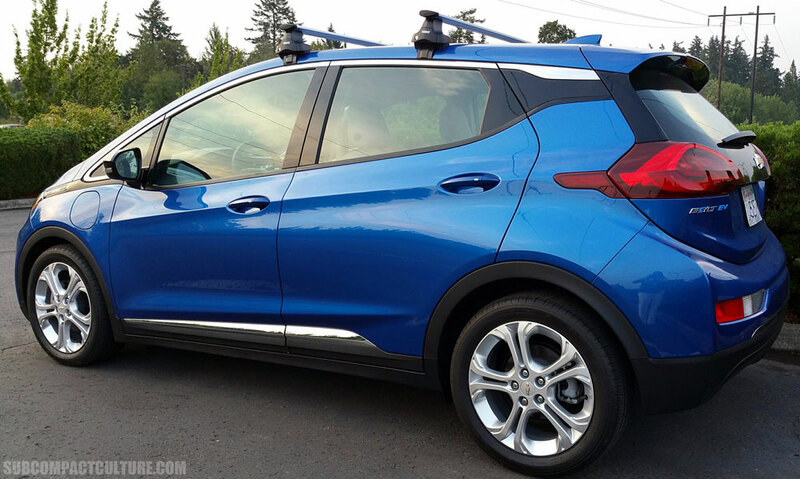 The 2017 Chevy Bolt EV is a game changer, and you must take note. We certainly did. Until now, most entry-level electric vehicles couldn’t achieve much more than 100 miles of driving range. That is an issue for most travelers in the US, whether it’s a good ol’ fashioned weekend road trip or high mileage workday commuting. 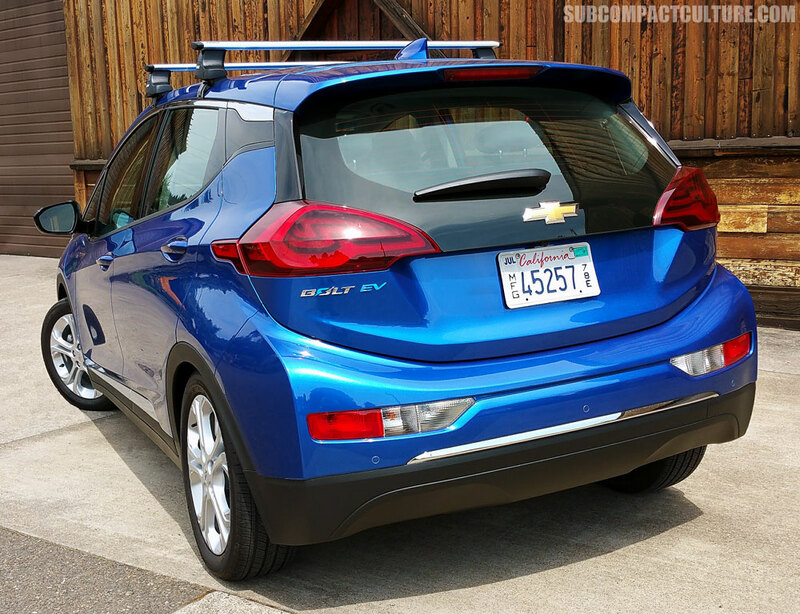 The new Bolt delivers a hefty 238 miles to a single charge—just one charge! If you are running around the city using the fabulous regen brake paddle located on the steering wheel, you may be able to eke out even more. While the Bolt LT has a 238 mile range, you can also get quick bursts of charge when you hook up to a DC fast charger. In fact, you can get a 90 mile charge in just 30 minutes. This five-seat hot hatch boasts loads of high-tech features and costs a fraction of the similarly-ranged Tesla Model S (which is more luxe and costs about double the price). The Chevy Bolt is making waves in the electric car community and is a fabulously feasible alternative to gas guzzling grocery getters. Plus, it’s quick and responsive. 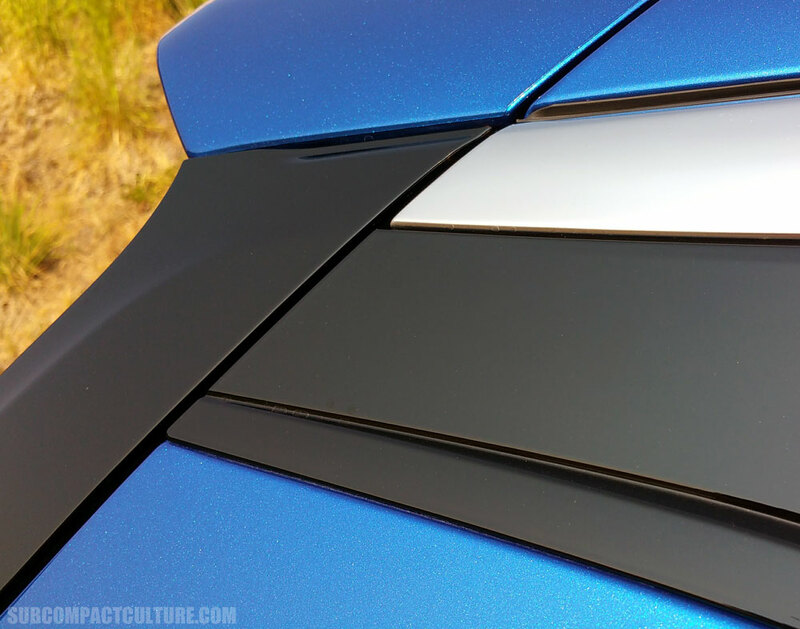 Our kinetic blue metallic tester was pleasing to the eye. It had modern lines, thoughtful design, and an overall attractive exterior (although I didn’t care for the 17” painted aluminum wheels). 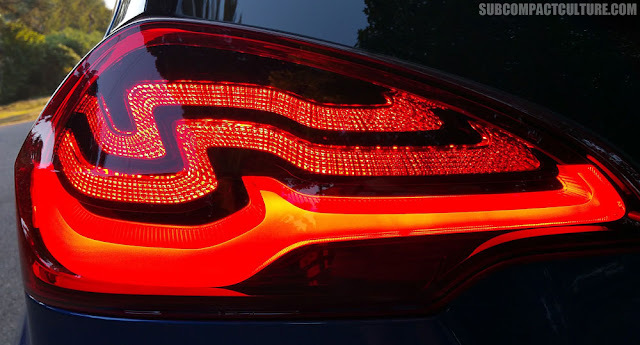 The HID projector headlights, LED fog lights, as well as the crazy wave-like design of the brake lights were futuristic and bright. The chrome bits weren’t overpowering but the black piano-gloss finish on the exterior panels were a bit of concern, however. How many times will you wipe off fingerprints near the windows when you close the doors? Nit-picky, yes, but I notice those types of things. 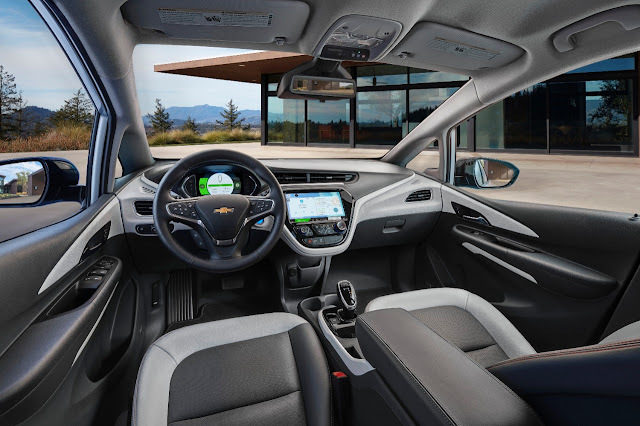 The Chevy Bolt boasts a 10.2-inch full color touch screen that includes Apple CarPlay and Android Auto, a Wi-Fi hot spot, rear-view camera with pedestrian safety signal, Bluetooth, voice recognition, two USB ports, proximity keyless entry with theft deterrent system, and a rather large cargo area that offers up to 56.6 cubic feet of storage (when rear seats are folded down). Wow, that’s quite a mouthful! 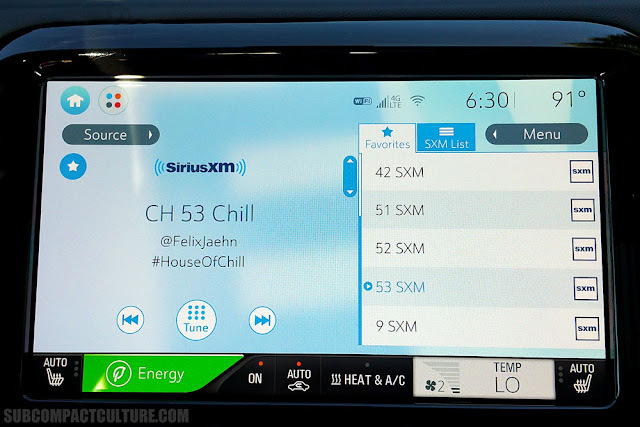 The 8-inch driver’s display offers up a ton of information (speed, remaining battery charge, regeneration, distance traveled, etc.). The driver can choose between different viewing opportunities like: classic, modern, and enhanced modes. 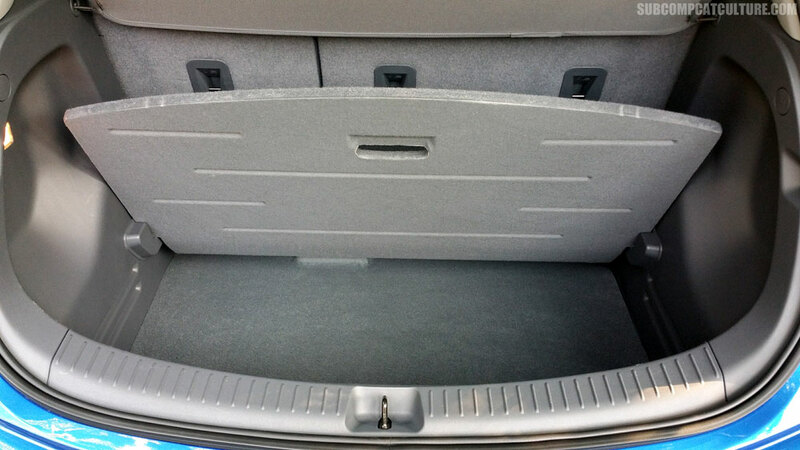 The Chevy Bolt stands out as one of roomiest small wagons on the market. A lot of thought has done into its design. 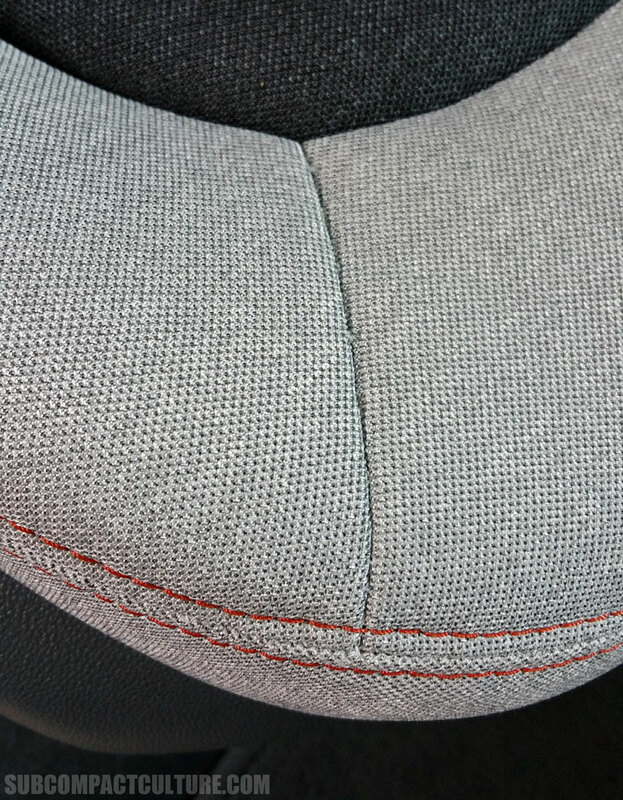 I found the seats adequate with supportive side bolstering and bottoms, and an attractive asymmetrical color-schemed fabric. Andy found them to be a bit hard, however. Chevy uses thinner seats with less padding than other manufacturers, which might make some for some uncomfortable bums on longer jaunts. 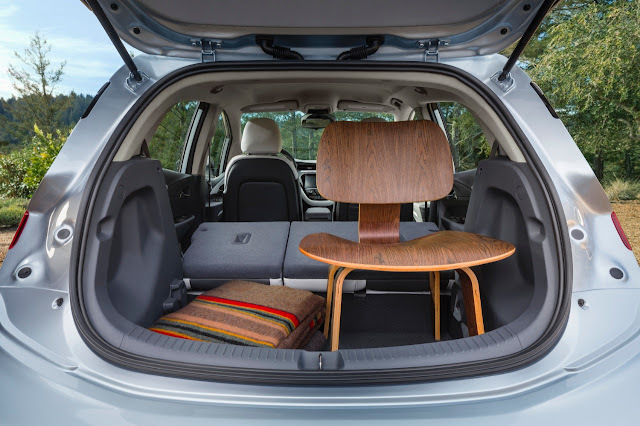 The rear seats are particularly accommodating space-wise, even for passengers who are 6 feet plus, thanks to the Bolt’s ample 36.5 inches of rear legroom. 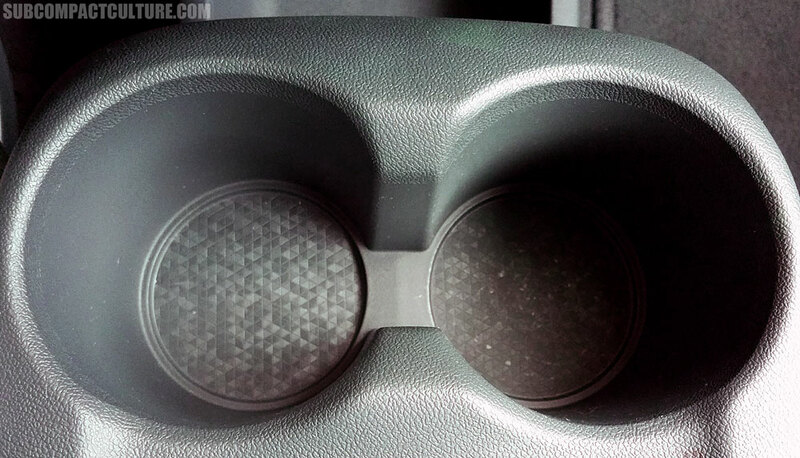 Driving position was very intuitive, with easy to use, ergonomic controls. Everything was where it needed to be, and was positioned in a sensible manner. Visibility was very good, no huge C-pillar blocks that I can recall. The interior materials varied, however. Hard plastic to textured hard plastic, to a lighter cubistic hard plastic. Although the Bolt’s interior design was well thought out and solid, I wished the dash or doors would have had soft-touch materials. Up the quality and feel a bit and you’d get that much more from it. The Bolt zips to 60 mph in under seven seconds. You can easily break the low-rolling resistance tires free as you tool around town in this gusty little hatch. Handling is surprisingly nimble, stance was solid, and steering evenly weighted. Driving position just felt right. Within a few short miles of driving the Bolt EV I knew I was in trouble—this little Chevy would actually make me consider giving up my die-hard manual transmission habit! It’s just that fun to drive. I wanted to keep driving it—and knowing I had 238 miles of adventure to unfold made it hard to stop. The Bolt’s low-end zip and high-mileage range is due to its bottom-centered large battery back. This battery pack is covered by a lengthy eight-year/100,000-mile warranty, which takes much of the worry out of owning a high-tech EV. Braking is much more normal than other EVs. The brakes are less spongy and smooth. 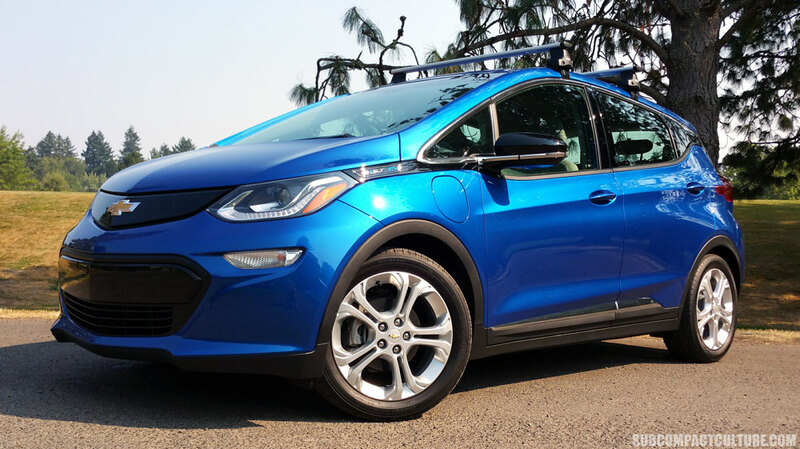 The Bolt’s regenerative braking system works in tandem with traditional friction brakes. This system recharges its batteries by recapturing energy that normally goes to waste. If more stopping power is needed, the system transitions from regenerative over to friction brakes to bring the car to a halt. As mentioned previously, the regenerative braking paddle (located on the left side of steering wheel) is very easy to use. 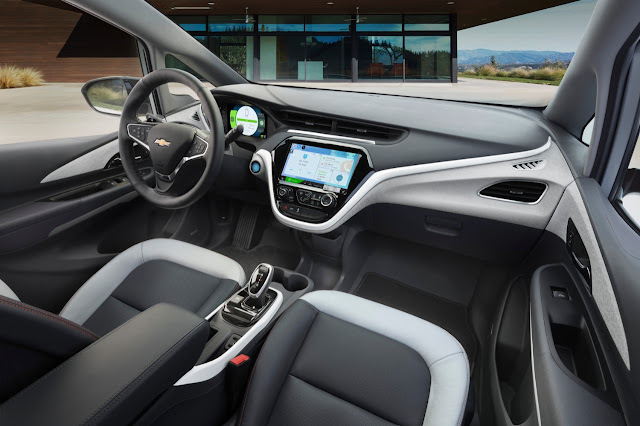 It creates a lot of engagement between driver and EV; a symbiotic relationship that slows on demand, is responsive when needed, and releases with ease. Charging time depends largely on which type of connection you use. 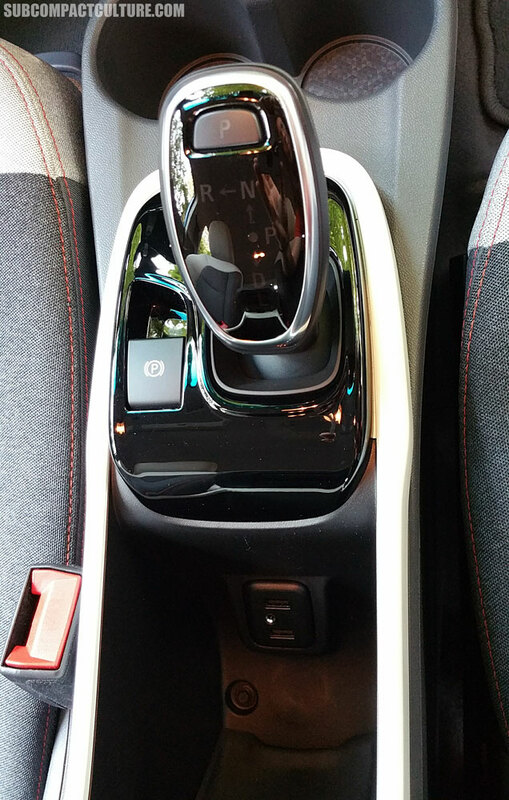 With a 240-volt outlet, it takes about nine hours for the Bolt to reach its full charge. 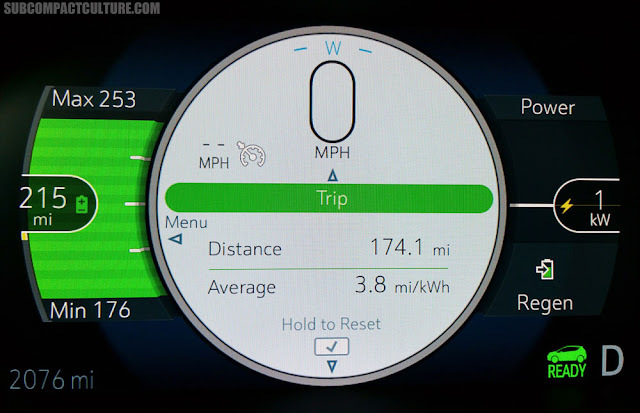 That equates to about 25 miles of range per hour of charging. Need more driving range quickly? 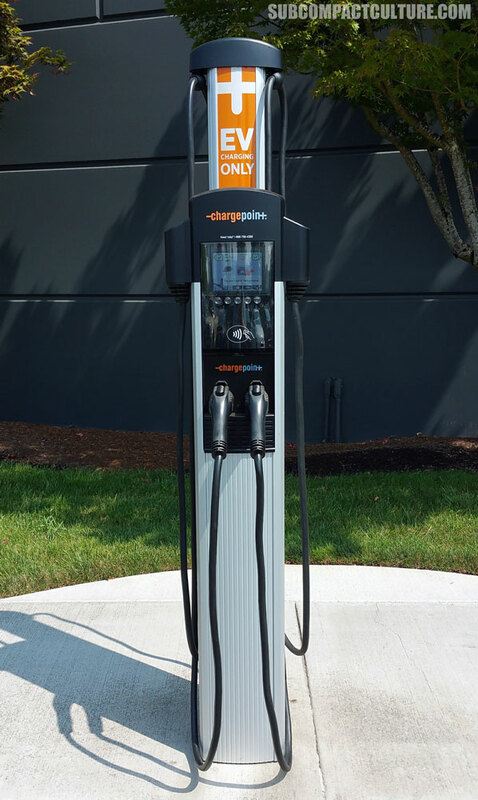 Consider visiting a public-use DC fast-charging station. As mentioned earlier, you'll be able to add 90 miles to your range with just a half-hour of charging. It’s awesome to shop for some groceries and have a full “tank” when you head back home! 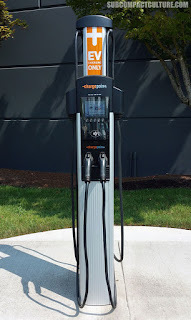 The necessary DC fast-charging equipment is $750 extra in both Bolt trim levels, however. The slowest charge method is your basic 120v outlet. It is slow. I mean beastly slow. It took me an overnight plug-in just to move the “needle” in a positive direction a bit. It took us over 31 hours to charge it fully when we were at 179 miles of charge. This EV is not a 120v lover but do keep in mind the Bolt gives you class-leading range of 238 miles of charge. That’s a lot of charge to charge back up again. 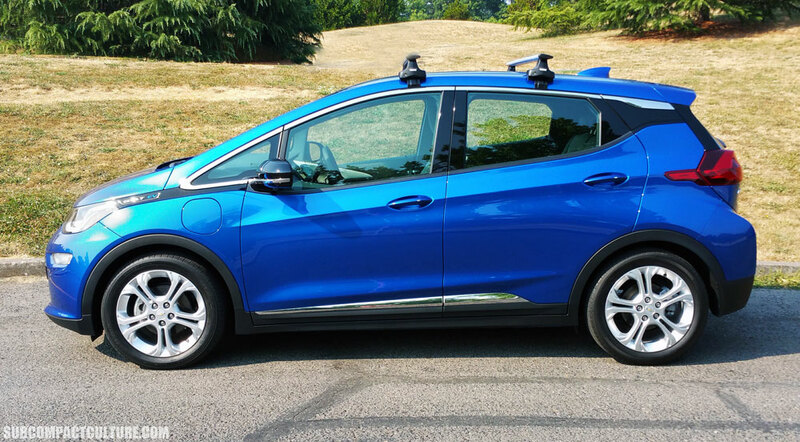 If you want to own a Chevy Bolt, don’t waste your time with a 120v. 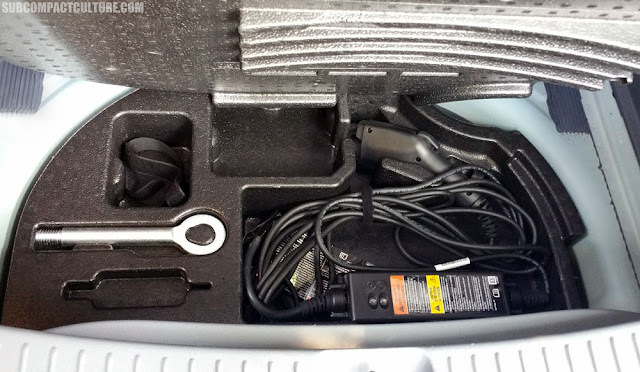 Install a 240v dedicated charge outlet. You’ll thank me for it – trust me. If you’re looking for an EV that boasts class-leading range capacity, large interior volume, and modern styling for under $40,000 – the 2017 Chevy Bolt is the clear winner. So much so I’d even bet my stick shift on it. I like this car so much that I wish GM would stick a conventional engine in it as well and call it Sonic. 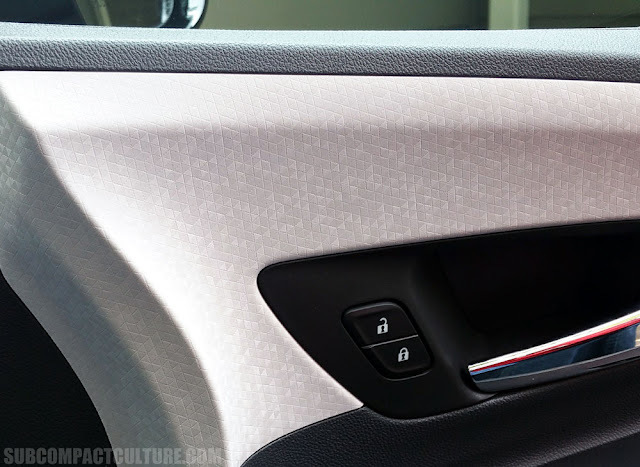 It looks great, inside and out and really needs to adopt this styling convention to all of its small cars.